b. For children of catechetical age (between seven and eighteen), the candidate shall have progressed through the stages of the “Rite of Christian Initiation of Children Who Have Reached Catechetical Age” as found in the RCIA, #252-330.
c. In the extraordinary circumstances envisioned in the RCIA, #331, refer to faculty 2.3 (Abbreviated Catechumenate) above. Explanatory note: This faculty would be used typically at the baptism of an infant of parents in a mixed marriage when the non-Catholic party is active in his or her own denomination, or if the non-Catholic minister is a friend or relative of the couple. The paragraph cited above from the Directory also states, “Reciprocity is possible only if a baptism celebrated in another community does not conflict with Catholic principles or discipline.” Thus you should not participate in the baptism of another church or ecclesial community if either parent of the one being baptized is Catholic (see canons 1125, 1366) or if the baptism of that community is invalid. 3.1. General Delegation: It is the office of the bishop to receive candidates who are already baptized into the full communion of the Catholic Church (RCIA, #481). You are hereby entrusted with the celebration of this reception after appropriate catechetical formation in accord with the provisions of the “Rite of Reception of Baptized Christians into the Full Communion of the Catholic Church” (RCIA, #473-499). 3.2. Conditional Baptism: If, after a serious investigation, a doubt remains about the validity of a candidate’s non-Catholic baptism, and after explaining to the candidate the Church’s teaching on valid baptism, you may conditionally baptize. Conditional baptism may be done only in a private ceremony, omitting non-essential rites if desired, but always retaining the renunciation of sin, the profession of faith, the actual baptism, and anointing with sacred chrism. Afterwards, at a public celebration such as the Sunday Eucharist, you confirm the person, observing the “Rite of Reception of Baptized Christians into the Full Communion of the Catholic Church” (canon 869; Directory for the Application of the Principles and Norms on Ecumenism, 99). Explanatory note: The Rite of Reception into the Full Communion of the Catholic Church is used in receiving into the Church Episcopalians (Anglicans) and Protestants whose ecclesial tradition has valid baptism. It is used for those seven and older who have the use of reason. Confirmation and first Communion are an integral part of the rite, which may not be delayed, even with children who are below the normal age of confirmation in the Archdiocese but who are at least seven. For children under seven, it suffices that either parent declares his or her intention that the child be received into the Church, and that this be noted in the baptismal register along with pertinent entries concerning the child’s baptism. For those baptized in a separated Eastern Church, this rite is not observed. They need only make a profession of faith, which is to be noted in the baptismal register along with pertinent entries concerning the baptism. The profession of faith is properly made in the corresponding Eastern Roman Catholic Church, to which the person is deemed to belong by the law regardless of where (in which Church sui iuris) the actual profession took or takes place. If the person wishes to enroll in the Latin Roman Catholic Church, after the profession of faith he or she must undertake the canonical procedure for changing one’s sui iuris Church ascription. 4.1. Completing the Rites of Initiation: By the law itself (canon 883 2°) you have the faculty to confirm those whom, by virtue of your office or mandate of the Archbishop, you have baptized or have received into the full communion of the Catholic Church who are seven years of age or older. 4.2. Special Cases of Initiation: Those empowered by canon 883 2° as explained in the previous paragraph also have the faculty to confirm (a) in the case of the readmission to communion of a baptized Catholic who has been an apostate from the faith and also (b) in the case of a baptized Catholic who has without fault been instructed in a non-Catholic religion or adhered to a non-Catholic religion (RCIA, “National Statutes for the Catechumenate,” 28). But this faculty does not apply in the case of a baptized Catholic who without his or her fault never put the faith into practice (see the next paragraph). b. in accord with canon 884 §1, pastors/administrators are hereby delegated to confirm baptized, uncatechized adults at the Easter Vigil provided those candidates have participated in the Adult Initiation Process. In the case of baptized, catechized, practicing Catholics or those who have not participated in the Adult Initiation Process, the faculty to confirm is reserved to the bishop. Explanatory note: The word `celebrate’ in this context means both preside and concelebrate. With respect to the law on bination and trination, the anticipated Mass of Sunday counts as a Mass of Saturday, not Sunday, since the canonical day runs from midnight to midnight (canon 202 §1). The same is true for the vigil of holy days. 5.2. Stipends: The Archdiocesan policy on stipends is published in the “Clergy Policies and Guidelines” of the Archdiocese of Los Angeles. If you have selected the option of receiving stipends, the Code of Canon Law requires that when you celebrate more than one Mass on a particular day, you may retain for your personal use only one stipend (canon 951 §1). Any stipends presented for the celebration of additional Masses must be disposed of in accord with Archdiocesan policy (canon 951 §1). 5.8. Communion under Both Kinds: By archdiocesan particular law holy communion is to be administered under both kinds at every parish Sunday Mass (Gather Faithfully Together, ## 169, 184). This means that the faithful shall be well instructed and an adequate number of ministers prepared and available. By implication, at any other Mass at which you preside, communion may be administered under both kinds, unless the pastor or other priest in charge of the community determines that it is not appropriate under what should be unusual circumstances (General Instruction of the Roman Missal, #283c). 5.9. Extraordinary Ministers of Communion: Pastors/administrators may appoint suitably instructed lay persons for a term of one to three years to serve as extraordinary ministers of holy communion, both at Mass and outside Mass, whenever it is necessary for the pastoral benefit of the faithful and sufficient ordinary ministers are lacking or unavailable. You may also commission them for their ministry after the homily at a Sunday Eucharist in accord with the “Rite of Commissioning Special Ministers of Holy Communion” (Ecclesiae de mysterio, Instruction on Certain Questions Concerning the Cooperation of the Lay Faithful in the Ministry of Priests [Congregation for the Clergy et al., 1997], art. 8 §1). Explanatory note: The Instruction just cited revokes previous law (for instance, Book of Blessings, #1873) which empowered pastors to act in this matter and reserves these tasks to the diocesan bishop unless he chooses to delegate them. This faculty grants the delegation. With regard to the term of service, the minister may be reappointed to successive terms at the pastor’s/administrator’s discretion. 5.11. Holy Thursday: Pastors/administrators may celebrate or permit a second Mass of the Lord’s Supper on Holy Thursday if any of the following conditions is applicable: (a) there are too many faithful to accommodate at one Mass on Holy Thursday; (b) you have the care of more than one parish and coming together at a single church is not possible; (c) Mass is celebrated in more than one language and having a multi-cultural celebration is not feasible. The Mass may not begin before evening without the express permission of the regional bishop in a case of genuine necessity. e. By this faculty you may remit the excommunication attached to apostasy, heresy or schism (canon 1364). For a penitent returning to the Catholic faith, you should admonish the person to begin practicing the faith in some public way, such as by registering in a parish, so that there is some external forum evidence of the person’s reconciliation with the Church. Under no circumstances may the confessor himself use knowledge of sin, gained only from the sacrament, in the external forum (canons 984, 1388 §1). If the penitent actually left the Church by a formal act, making his or her intention known to his or her pastor or local ordinary (canon 1117), then the person needs to inform the parish of baptism to reverse the notice of formal defection in the baptismal register. Explanatory note: All priests have the power by divine law to absolve from sins in the sacrament of penance, but the faculty is needed, by ecclesiastical law, as authorization to use this power. Since the concession of the faculty to hear confessions is an exercise of executive power of governance, it can be delegated and subdelegated.  As explained in #6.1 above, you have been granted the faculty either by reason of your office or by delegation. Faculty #6.5 enables you to (sub)delegate the faculty to hear confessions and the archdiocesan faculty of confessors #6.2 to a priest in good standing who will join in celebrating the communal rite of penance in the parish. If the priest already has the faculty to hear confessions from his own diocesan domicile, you need only (sub)delegate the archdiocesan faculty just mentioned. Please consult the archdiocesan policy on the granting of temporary faculties for further information. a. Explicit delegation to the specific person from the local ordinary (any of our vicars general and episcopal vicars), pastor, associate or resident is required for validity to assist at marriages outside of one’s own parish (canon 1111 §2). 7.4. Mixed Marriages at Eucharist Involving Other Christians: Because of problems concerning Eucharistic sharing that may arise from the presence of non-Catholic witnesses and guests, a mixed marriage between a Catholic and an Episcopalian (Anglican) or Protestant ordinarily should not take place during the Eucharistic liturgy (Rite of Marriage, 8). For a just cause, however, you may permit the celebration of the Eucharist, provided the non-Catholic party comes from a eucharistic tradition and truly agrees to it, after informing both parties that the non-Catholic guests may not be invited to holy communion. If the non-Catholic party wishes to receive communion, permission must be requested from the regional bishop, who cannot give such permission unless there is “a grave spiritual need” of the individual non-Catholic and not simply because the wedding is a special occasion (Directory for the Application of the Principles and Norms on Ecumenism, 129-131, 159; Ecclesia de Eucharistia [John Paul II, 17 April 2003], 45-46). b. The words, “provided the non-Catholic party truly agrees to it,” are important for ecumenical sensitivity, because frequently the Catholic party or his or her family requests the Eucharist without considering the wishes of the non-Catholic party and his or her family and guests. A “just cause” for celebrating the Eucharist would be better shown if the non-Catholic party comes from a Eucharistic tradition and personally desires a wedding Mass. 7.6. Omnia Parata Dispensations from Marriage Impediments: In the extraordinary situation whenever an impediment is discovered after everything has already been prepared for the wedding or convalidation and the delay would most likely cause serious harm, you may dispense from all ecclesiastical matrimonial impediments from which the local ordinary has the power to dispense (canon 1080). 7.7. Marriage of a Catechumen: You may celebrate the marriage of a catechumen, even to a non-Catholic, according to the appropriate rite of marriage involving a non-baptized person, which may never take place at Mass (canon 1119; Rite of Marriage, 8, 55-56). If the marriage is between a catechumen and a Catholic, a dispensation from the impediment of disparity of worship is necessary. Explanatory Note: Because a catechumen is joined to the Church in a special way (canon 206 § 1), he or she has the right to have a church wedding, whether the spouse is Catholic or non-Catholic. The rite for non-sacramental marriages is to be observed. The marriage is to be recorded as usual in the parish marriage register. If the spouse is non-Catholic, canonical form is not required for such a marriage; strictly speaking, then, you do not need the faculty to assist at such a marriage. In this case, the party’s catechumenal status should be clearly notated when you record the marriage in the parish register (in order to explain the legitimacy of your role as officiating minister). On the other hand, there is nothing to prevent the catechumen from marrying a non-Catholic spouse in an otherwise legitimate non-Catholic ceremony. In all cases the discernment of the catechumen’s progress toward Christian initiation will take into account his or her marital situation. Explanatory Note: The Rite of Christian Initiation for the Dying, from Pastoral Care of the Sick (= PCS), is to be used if the ritual is available. The one to be baptized demonstrates “some knowledge of the principal truths of the faith” and the “promise to observe the commandments of the Christian religion” by an affirmative answer to the four questions you are to ask at the beginning of the rite (PCS, 282). After asking the questions, if death is imminent, it suffices to observe what is necessary for validity: water baptism and the Trinitarian formula (canons 850, 853; PCS, 277). If the sacred chrism is available, the person – whether adult or infant – should be confirmed immediately afterward. Viaticum should be given as below in faculty 9.3. The baptism and confirmation are registered in accord with canons 877-878 and 895-896.
a. If the person was baptized a Catholic, the confirmation is recorded in the parish of the person’s domicile as well as in the parish of baptism (canon 895). b. A validly baptized non-Catholic should not be confirmed unless he or she intends to become a Catholic. If the baptized non-Catholic lacks the use of reason, he or she may be confirmed if the parent or guardian wants the infant to become a Catholic. The confirmation and reception into full communion is recorded in the parish of the person’s domicile, along with the information on the person’s baptism as much as this can be obtained. Explanatory Note: The absolution from censures applies only to Catholics, since only they are subject to the penal laws of the Church. If the censure being remitted was imposed or declared in the external forum, or if its remission is reserved to the Apostolic See, you must inform the penitent that, after recovering, he or she must request the permanent remission of the penalty from the competent authority (canon 1357 §3). This should be done within a month, and normally you or another confessor should apply for the remission on the penitent’s behalf without mentioning the penitent’s name. 9.5. 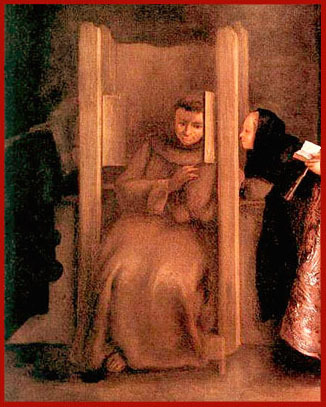 General Absolution: Even if you lack the faculty to hear confessions by office or delegation, you may grant a general absolution without previous individual confession when the danger of death is imminent and there is insufficient time to hear the confessions of the individual penitents (canon 961 § 11 °). This faculty may be used anywhere in the world. g. If the dispensation is for a public impediment, you are to notify the local pastor and local ordinary immediately afterward so that the dispensation may be properly recorded (canons 1081-1082). Preliminary Note: The celebration of funerals is regulated by canons 1177-1185 and the Order of Christian Funerals (including the Appendix, “Cremation,” more recently published in 1997). Canon 530 5° “especially entrusts” the performance of funeral rites to the pastor/administrator, which means that others should not perform them without at least his presumed consent. Universal law permits the celebration of funerals of Catholics only in churches and not in oratories or private chapels (except in the case of religious, in accord with canon 1179), unless the diocesan bishop grants a dispensation. Faculties #10.1 – 10.3 below are granted for the more common exceptional circumstances. 10.1. Funeral of Unbaptized Children: You may permit the celebration of the Church’s funeral rites, including Mass, for children who died before baptism, provided their parents had intended to have them baptized (canon 1183 §2). 10.2. Funeral of Baptized Non-Catholic: You may permit the celebration of the Church’s funeral rites, including Mass, for a validly baptized member of a non-Catholic church or ecclesial community provided the minister of the deceased is not available and provided that such an arrangement is not contrary to the will of the deceased (canon 1183, §3). In such celebrations, the rites in the Order of Christian Funerals should be appropriately accommodated to the special ecumenical situation. Explanatory Note: The minister may be “morally” unavailable as well as physically unavailable – for example, if there is a church of the deceased person’s denomination, but he or she was unknown to the minister there. It sometimes happens that the spouse or next of kin of the deceased is Catholic, but he or she does not have a place for the funeral rites of the deceased person. Explanatory Note: The term “competent” refers to someone who is exercising a parish apostolate, such as religious education or visits to the sick, and who has been instructed on the celebration of the appropriate blessings. Those who preside at meetings of parish organizations may also give blessings. An example of a reserved blessing is that of the ashes used on Ash Wednesday. While lay people may assist in the distribution of the ashes, the actual blessing of them is reserved to a priest or deacon (Book of Blessings, #1659). 11.1. Reader at Mass: On exceptional occasions and for a just cause, if you are presiding at the Eucharist, you may permit a validly baptized member of a non-Catholic church or ecclesial community to be a reader at the Eucharistic celebration (Directory for the Application of the Principles and Norms on Ecumenism, 133). a. You have the faculty by law (canon 844 §3) to administer these three sacraments to members of the Eastern churches that do not have full communion with the Catholic Church, if these persons ask on their own for the sacrament and are properly disposed. Please remember that some of these churches prohibit their members from sharing in the sacraments of other churches. The same applies to member of other churches which, in the judgment of the Apostolic See, are in ‘a condition equal to the Eastern churches in reference to the sacraments. b. This faculty applies, therefore, to other validly baptized Christians who cannot approach a minister of their own community, who ask for the sacrament on their own, and who manifest Catholic faith in the sacrament. In case of doubt regarding the proper disposition, you should admonish the person to make an act of perfect contrition before receiving holy communion or the anointing of the sick. In case of doubt as to whether the person has the necessary faith in the sacrament, you should ask for an explicit manifestation of faith in these or similar words, as recommended by the Holy See: “Do you accept the faith in the sacrament of (penance, the Eucharist, or anointing of the sick) as Christ instituted it and as the Catholic Church has handed it down?” (Secretariat for Promoting Christian Unity, instruction In quibus rerum circumstantiis, #5, 1 June 1972).